Greetings from Kent! It’s been a good week for us here in northeast Ohio. The weather bounced from a low of -35℉ (factoring in wind-chill) last Thursday to a high of 60℉ on Monday. Elliot was awarded first place in a school Marketing competition, after a lot of work to prepare for his presentation. Olivia found out that she made it into the the more advanced large-group choir at the high school for next year, after stressing about her audition for days. I can’t say that Marci, Cor, or I have received any special commendations, but I’d say we’ve been doing pretty well, too. Our lives aren’t perfect, and we can almost certainly expect some setbacks in the weeks to come. But it’s nice to have a good week every now and then, isn’t it?!? Anyway: Do you want to hear something crazy (almost as crazy as a 95℉ temperature swing over the space of five days)?!? I recently realized that I’ve now been doing full-time support-based ministry for over twenty years! When we first went to New Staff Training in January of 1999, Marci and I had no idea about where God would take us over the next two decades. We didn’t know if or how it would be possible to raise children on the salary of a support-based missionary. We didn’t know that God would use our family to help plant a church in Amsterdam, over the course a decade in Europe. 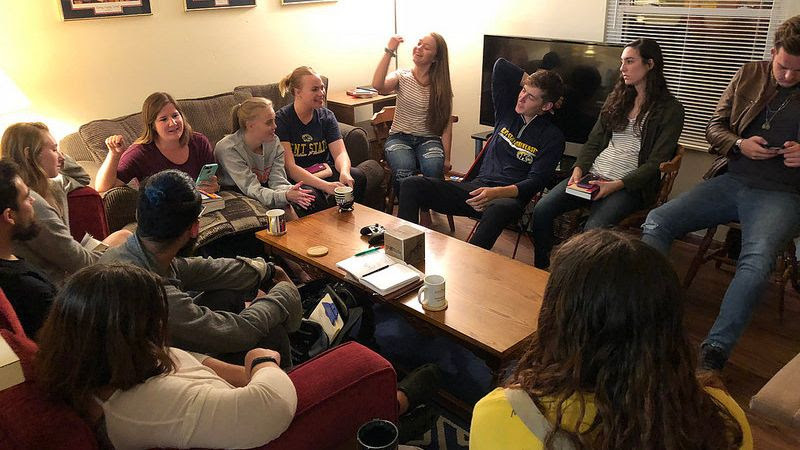 We didn’t know that our one little H2O Church at Bowling Green State University would multiply to become a network of ten H2O Churches at ten campuses across the region (including Kent State University) — plus two other campuses outside of the region! Wow! It’s amazing to think of everything God has done over the past two decades! Thank you for your partnership in our ministry! You are an essential part of the ministry team that allows all of this to happen, whether you have been involved for all twenty years (I’m amazed to realize that there are a few of you who fall into that category! ), or you just joined our ministry team within the past twenty days (I’m also very encouraged that we’re getting some much-needed “fresh legs” to sustain us as we get started on Decade #3!). I could say “Thank you” twenty times in a row, and it still wouldn’t adequately convey our hearts’ appreciation for walking with us in this journey of faith. Seriously, though: Thank you. In case you’ve never heard of Alpha before, it’s a series of talks addressing key issues relating to the Christian faith: Who Is Jesus? Why Did He Die? Why and How Should I Read the Bible? Why and How Do I Pray? Who Is the Holy Spirit? What about the Church? 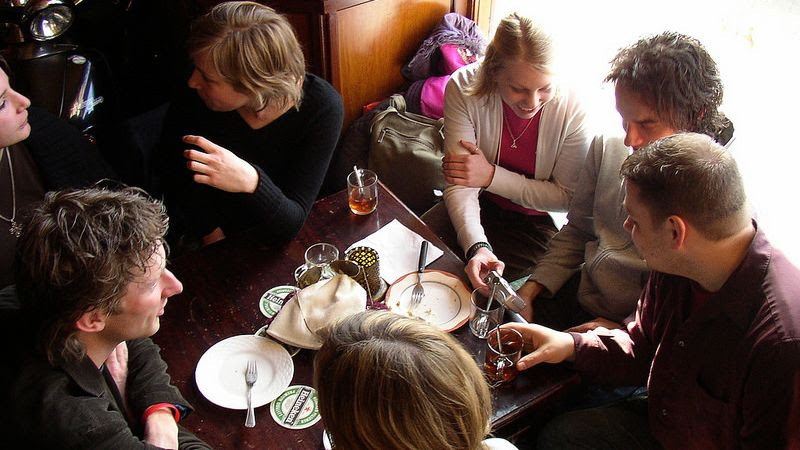 Several such topics are explored over the course of an eleven-week period… Each session starts with eating together, which gives people a chance to get to know each other. Then, there is an introduction to a particular subject, and the group breaks down into smaller discussion groups to interact on the topic of the evening, ask questions and express opinions — one of the main rules being that Alpha is a place where no question is too simple or too hostile. Starting this week, our Alpha course will run through the remainder of the Spring Semester at Kent State University. Every Thursday evening, we’ll gather in an apartment on the south-west side of campus for the sessions. Five of us from H2O’s Off-Campus Life Group (Jake, David, Zoe, Peter, and I) will serve as leaders for the course, and we will be joined by others — including new Christians, people seriously considering the faith, and people who are self-proclaimed non-Christians. Everyone involved seems to be very excited to see what will happen through this process, and we’re really praying that God will use this Alpha course to draw all of the course participants closer to Him. So, I wanted to get this prayer letter out today to ask you to join us in prayer for our Alpha Course. We need a coordinated prayer effort to support the leaders and participants involved. And this is where I realize, with a fresh sense of awe and encouragement, that we have a dedicated team of over 100 people who support our family’s involvement in the ministry of H2O Kent! It’s such a privilege to recruit yourprayer support for the Alpha course! So please pray that God would empower us as leaders, “that whenever we open our mouths, words may be given us so that we will fearlessly make known the mystery of the gospel, for which we are ambassadors” (Ephesians 6:19-20). And of course, please pray for the participants in the course that they may have soft and open hearts to the message of God’s truth. Without a doubt, we face a spiritual battle in sponsoring a course like this — and your prayer support is a vital ministry, especially in these upcoming eleven weeks. This entry was posted in Amsterdam50, Church, God, H2O Kent, Kent, Ministry, Nostalgia, Prayer, Prayer Letters, The Bible. Bookmark the permalink.